Every World History tutor at Grade Potential shares the same commitment—to help students like you reach their academic goals. Through personalized tutoring and exceptional support, we empower you to maximize outcomes and gain confidence to excel. Grade Potential is here from the beginning of your history coursework. Connect with a World History tutor at the start of each school year or semester in order to start off on the right foot academically, or reach out to us when classes are already underway for help catching up or getting ahead. Our tutors come to you and on your timetable in order to make learning as convenient as possible. 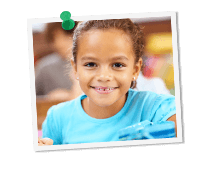 Each student at Grade Potential gets connected with a tutor that’s a good match for his or her personality and learning style. This means that your World History tutor will be someone with whom you can have good rapport and feel comfortable. It also means that we will work hard to make sure you are getting the greatest benefits from tutoring possible.